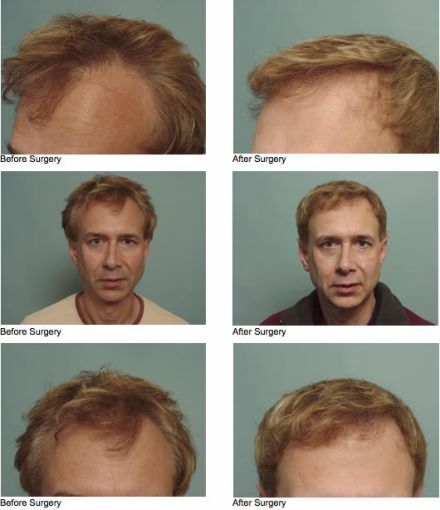 Dr. Allcroft has performed surgical hair restoration since the 1980s. 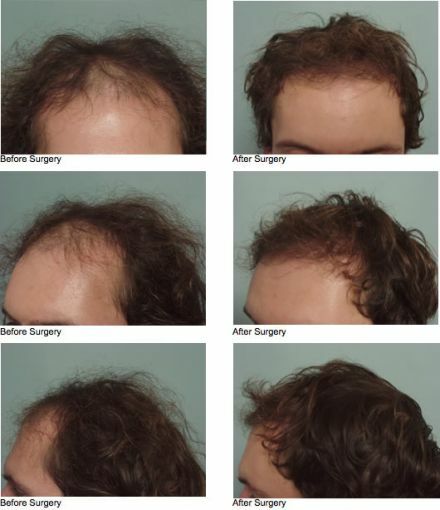 He is the only doctor offering hair restoration in Western Massachusetts. 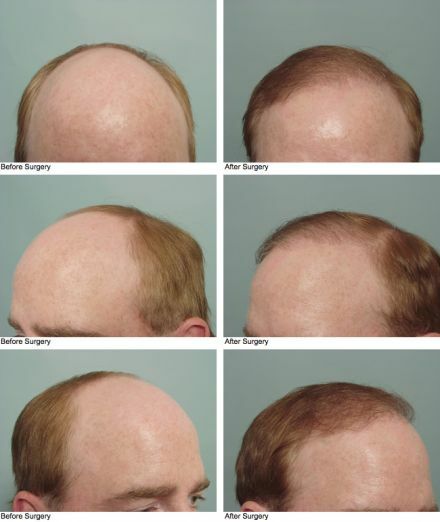 Our highly skilled team can offer as many as 3000 follicular unit grafts in a single session. Dr. Allcroft performs hair transplantation under oral sedation with local anesthesia. 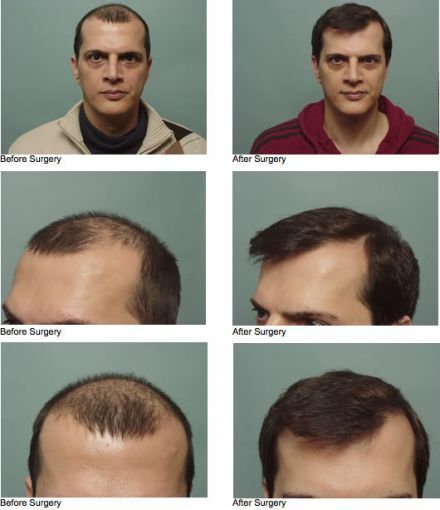 This means you will take some pills prior to the procedure to help you relax. 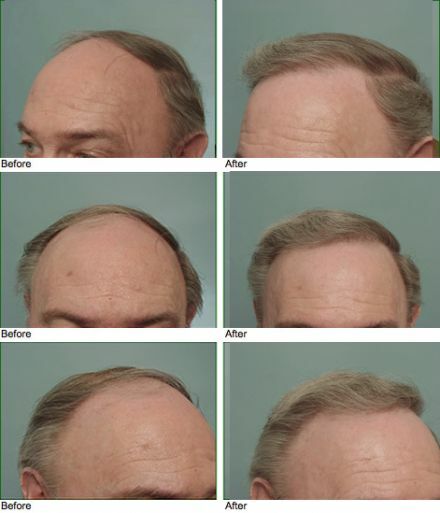 A typical procedure takes several hours to perform but the time seems to go more quickly due to the oral sedation. 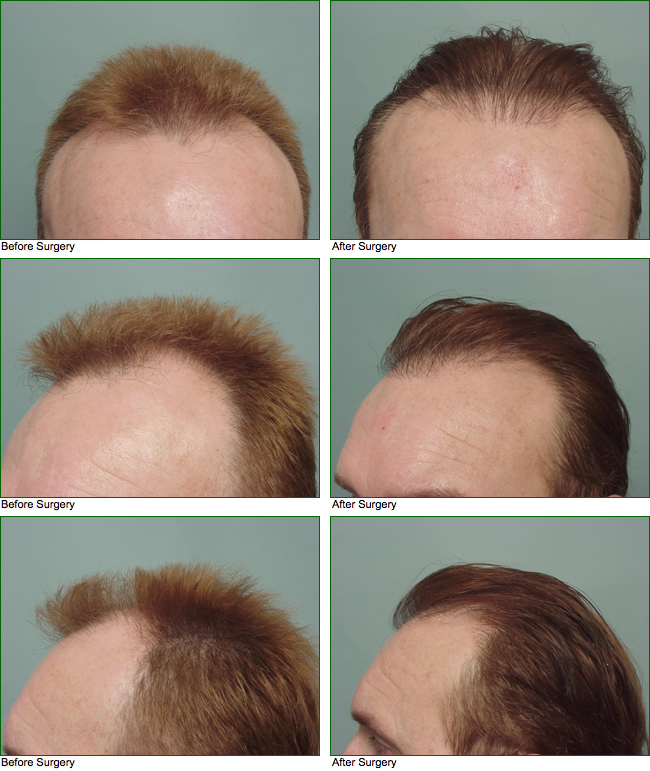 At the start of the procedure, a strip of scalp is removed from the back and/or sides of the head and this donor site is then sewn closed. 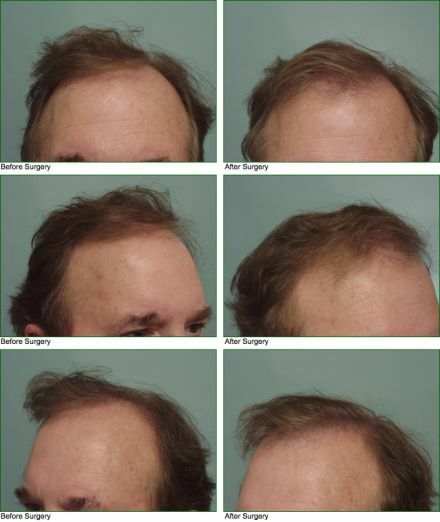 The strip of scalp is then prepared under binocular microscopes to make follicular unit grafts, each with one, two, three, and sometimes four hair follicles. These grafts are then placed with tiny forceps into slits made in the region to be transplanted. Alternatively, we perform Follicular Unit Extraction to harvest each graft individually. This procedure avoids a linear scar at the back of the head but does take longer and thus more expensive. 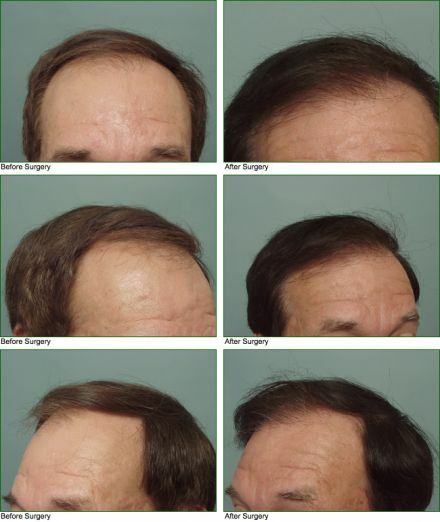 Although some transplanted hair will start growing right away, it typically takes 4-6 months for most grafts to be growing normally. 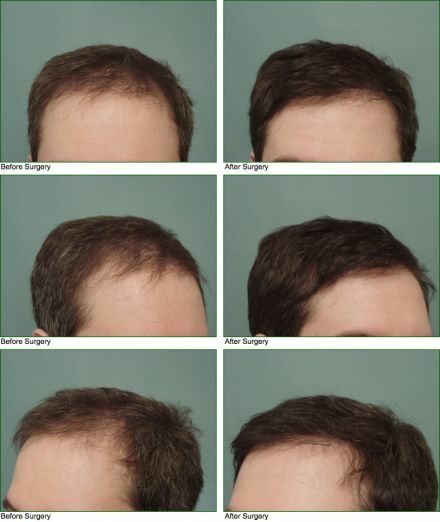 It may be another six months before the hair has grown several inches in length to fully appreciate the full benefit of the procedure.